only 2 days in hand. I was flipping through the pages of Srishti, the nature based magazine and came across an article on Mount Abu. 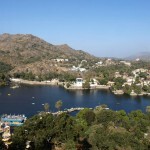 I really liked the article and decided to visit Mount Abu in Rajasthan. One of my friends Monika accompanied me. While on our way to Mount Abu I read a little bit about it. 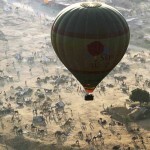 It is the only hill station of Rajasthan, the land of raja-maharajas. It was once the abode of saints and sages and it is believed that around 330 million gods and goddesses used to reside here. Also it is a place where 36 warrior clans emerged from the great Agni Kund or sacred fire pit. I wondered what a rich history Mount Abu has! It is also an important Jain pilgrimage. After listening to the history I realized that Mount Abu is much more than a summer retreat. We arrived at Mount Abu in the early afternoon. We were booked in Connaught House Heritage hotel. Its wonderful architecture and pleasant ambiance were simply overwhelming. After refreshing ourselves with tea and delicious snacks we decided to visit the Nakki lake. The climate was pleasant, just like the destination. We had hired a guide named Shankar who was a nice chap. He told us an interesting legend about the lake according to which it was dig by a Hindu God by his nails and hence was named nakki, meaning ‘nails’. It was very rejuvenating to be at this lake, which offers picturesque views of the surrounding hills. We also enjoyed a boat ride on it. 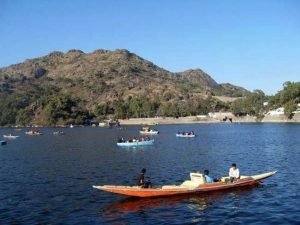 With gorgeous green surroundings in Mount Abu it is hard to believe that this place is in Rajasthan which is a desert. The day was drawing to a close and we now moved to the Sunset point, which is located at a short distance from the lake. We were all eagerly waiting for the famous sunset of Mount Abu and here it was. It was overwhelming! Elated, we came back to the hotel and after a delicious dinner, retired to bed a little early. The next day we were slated to go for Dilwara Jain Temple, Guru Shikar, Mount Abu wildlife Sanctuary and Adhardevi temple. 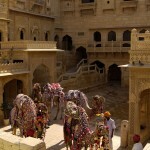 «Next Post Shopping In Jodhpur- A Memorable Experience!